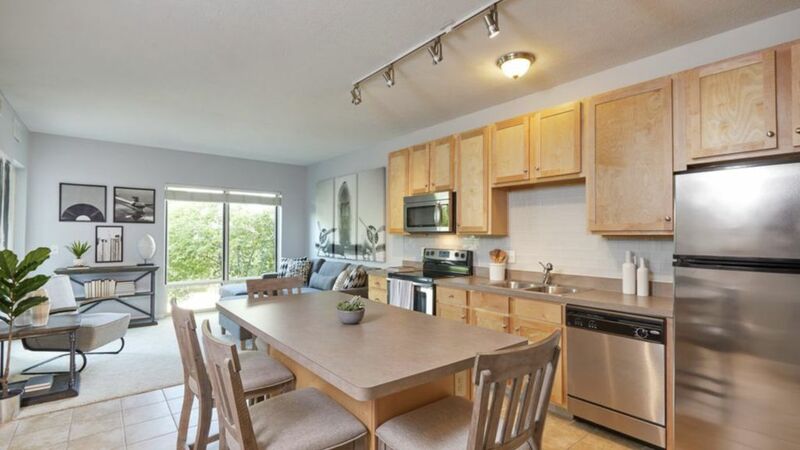 This large modern apartment is located within walking distance of everything! Location! Location! Location! This apartment is located in a prime location for pretty much anything that you are looking to do. It is extremely spacious and embraces great natural lighting from the 6 wall-sized windows that make up the entire west wall of the apartment. This apartment has 2 bedrooms that sleep two people in each and features an extra large sectional in the living area that can sleep two adults easily! Great for someone trying to relax or take advantage of all the activities available downtown. There is no better location in Columbus! Born and raised in Columbus. I've grown to love my home town and the unique experiences that it offers. I enjoy sharing these experiences with other! This property is in a truly amazing location that offers everything that you can ask for from special events, to outdoors activities, to night life. You are able to truly experience the variety of things Columbus has to offer with just a short walk. Located in a prime location in downtown Columbus just few minutes walk from the Convention Center, Nationwide Arena, Express Live, and much much more! We had a great experience staying here! Location is wonderful, had everything we needed! The space is perfect and Nic is easy to work with! !